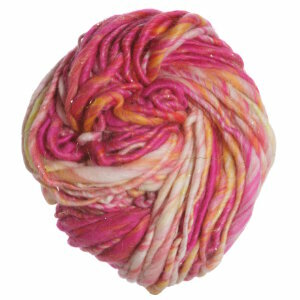 Swirl contains a mixture of brightly colored wool and sparkling Angelina hand-carded together to create one-of-a-kind colorways. After carding, the fibers are handspun into a super soft thick and thin yarn, making it ideal for accessories and cozy winter sweaters with lots of eye-catching texture. Blue Sky Fibers Blue Sky Bulky Yarn is a similar yarn: hand wash, super bulky (11 sts or less/4 in), 2 sts / inch, and 100 gram. 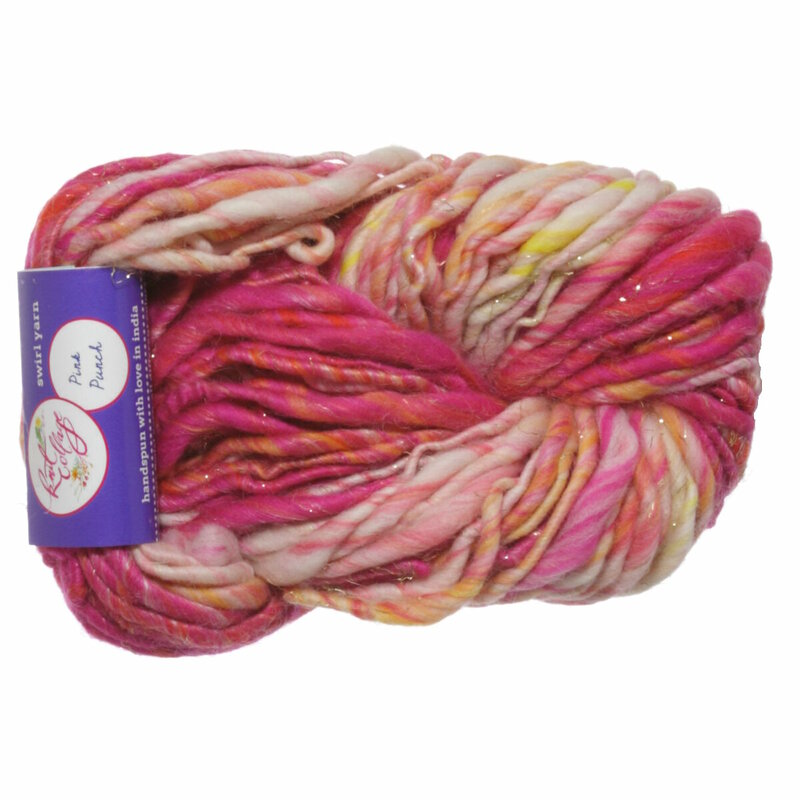 You may also like Manos Del Uruguay Maxima Solid Yarn, which is another similar yarn: merino wool, hand wash, and 100 gram. You may enjoy taking a look at the , and Knit Collage Daisy Chain or Swirl Ribby Slouch Beanie kits all using Knit Collage Swirl Yarn. Hopefully our suggested project ideas for Knit Collage Swirl Yarn can help you come up with your next exciting new project idea!